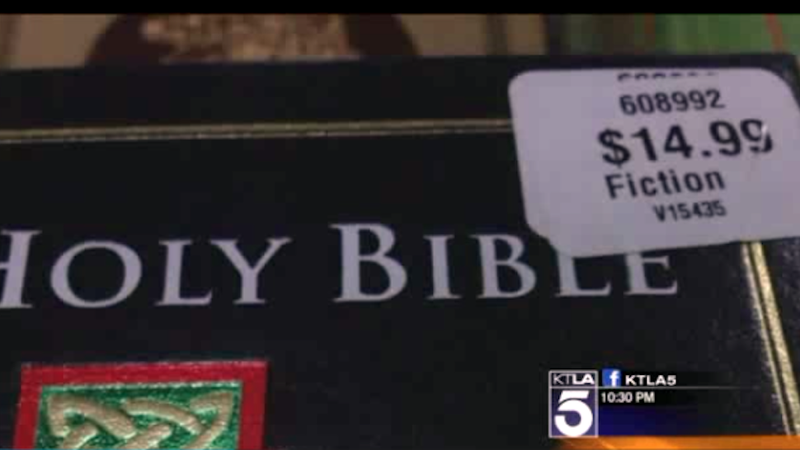 Costco has apologized to customers after a box of Bibles labeled "Fiction" made it to store shelves in LA. As one might imagine, this offended people who do not believe the Bible to be fiction, and amused people who do not believe the Bible to be true. Now I understand why the "religion/philosophy" category must exist — for accuracy, and anger prevention. "I was completely offended. I believe the Bible is real and it shouldn't be marked fiction," church member Shellie Dungan said. Here's the Tweet Kaltenbach sent after he witnessed the Bible's treatment in the bulk retailer. Costco has apologized and says they removed the Bibles from shelves. Despite this adhesive affront to Christianity, Costco is actually one of the more, uh, fair and just places to work. For starters, it's one of few large retailers that pays its workers a living wage. It receives high marks from human rights organizations for its treatment of the LGBT community. The store is also closed on Thanksgiving so that employees can celebrate with their families. But, you know. Bible stickers.